Want to see KISS Live on the End of The Road World Tour? Join 98.1 THE MAX in 1884 Lounge at Minglewood Hall, Friday, February 15th to win tickets! 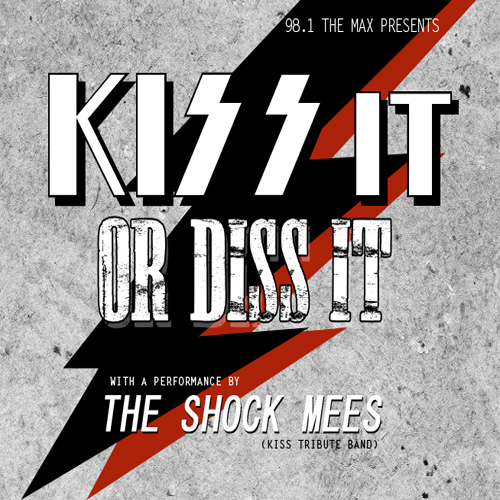 The Shock Mees, the Best KISS Tribute Band in the Southeast, will be performing and 98.1 The Max will be giving away pairs of tickets throughout the night to see KISS at the Fed Ex Forum the following weekend.